An Teachín Bán, Drumdart, Tydavnet, a step back in time! “Teachín Bán” is one of the remaining authentic style Irish cottages left in Ireland, set on a country lane in Drumdart, Tydavnet, Co Monaghan, just 10 minutes drive from Monaghan town. This is a great opportunity for people to see the wonderful heritage kitchen established by John and Margaret. The house has been sympathetically restored to recreate a traditional Irish cottage, and is stocked with genuine articles from the past. John’s handiwork is there to see. The open hearth is a big attraction and when Margaret serves her homemade bread, butter and jam, you mind can seil back in time, that is, if you are old enough. If you are young then it gives you an idea of the Irish home prior to TV, radio, bottled gas and ESB. If you hear of a session there, try not to miss it! 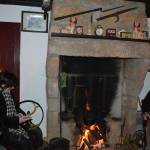 If you would like to experience one of Ireland’s last remaining true Irish cottages, or enjoy one of our wonderful music, churning, or storytelling nights in the Teachín Bán, please contact either John or Margaret on 047 87524 or 086 3067130. You’ll be glad you did! Aidan Mc Donald & Associates: Chartered Building Surveyors. Experience dealing with Domestic, Commercial, Industrial and Agricultural Buildings and provides services such as Design & Planning Applications, Project Monitoring & Contract Administration, Extensions / Repairs / Refurbishments & Renovations, Building Surveys / Home-buyer Inspections& Reports, Fire Safety Certificate Applications, Disabled Access Certificate Applications, Mapping & Conveyancing, Defect Analysis, Planned Maintenance Programmes, Schedules of Condition, Expert Witness and ‘Assigned Certifier’. Specialise in the area of drafting and responding to Schedules of Dilapidations. 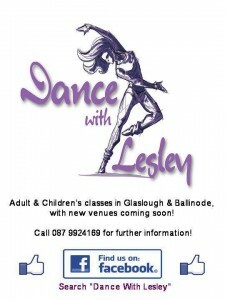 Contact Aidan on 086 0885251. Seamus Mc Elroy: Seamus offers a wide range of joinery and building services,e.g. building, roofing, first and second fix joinery, dry lining, plastering. Full range of restoration and conservation work; making bespoke units to customer’s style and specification. He has a comprehensive range of equipment including 360 degree teleporter;21/2 and 3/4 ton digger (which can go through a standard doorway); scaffolding, tractor and trailer, etc. Full public liability insurance, safe pass,and safety statement. Seamus has 35 years experience and can offer an advisory service to budding DIY enthusiasts. Full CV available on request. Contact him on 047 87625 or 087 2719202. 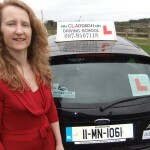 Claddagh Driving school is a new business in the Tydavnet, Monaghan area by local Lady Esther O’Brien Brady. Esther is a fully approved driving instructor with the Road Safety Authority (RSA). She brings with her a wealth of experience having had her own driving school in England for 9 years with a high pass rate. The instruction you will receive will benefit you for many years giving you the confidence and the know how to enjoy driving thus maintaining a high standard in your driving for life. Esther caters for pupils of all levels of ability. Essential Driver Training given. Dual control car for tuition and test. Discount for block bookings. Contact Esther on 087-9507118 for enquiries. 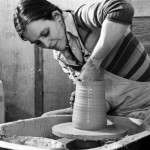 Please contact admin here if you wish your business to be added to this page. This is a service for local businesses and it is free of charge.